Are you ready for Heroes Pop Swap?! 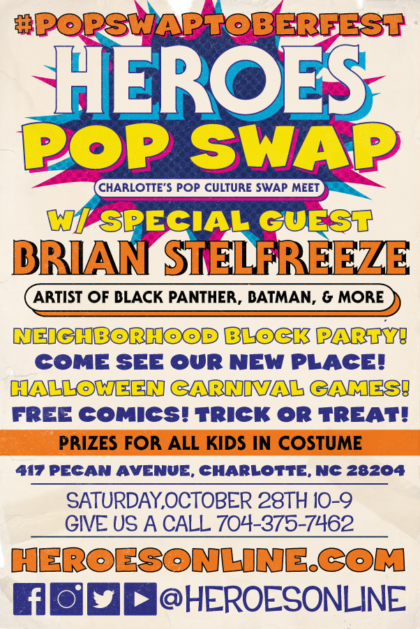 We’re making it extra special this year with a neighborhood block party and special guest Brian Stelfreeze! We want everyone to come out and see our new store. We’ll have games with prizes and all kids in costume will get a special prize too. First 500 people will receive an Pop Swap exclusive print by Black Panther and Batman artist Brian Stelfreeze!